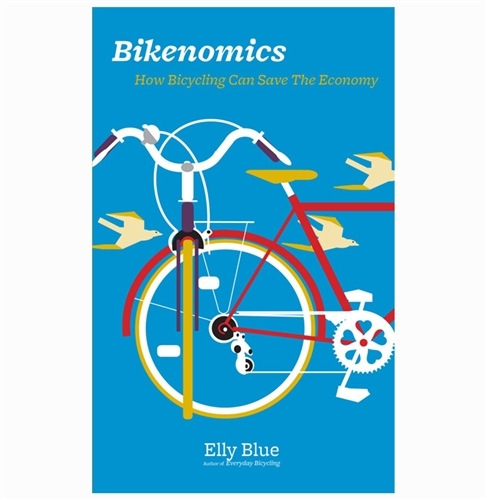 Through her writing, publishing and speaking, author Elly Blue has become a recognized voice for bike-activism and integrating cycling into everyday life. 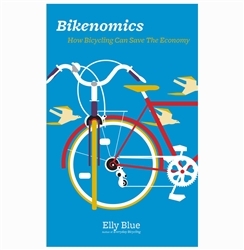 Bikenomics provides a surprising and compelling new perspective on the way we get around and on how we spend our money, as families and as a society. The book starts with a look at the real transportation costs of families and individuals, and moves on to examine the current civic costs of our transportation system. The book tells the stories of people, businesses, organizations, and cities who are investing in two-wheeled transportation. The multifaceted North American bicycle movement is revealed, with its contradictions, challenges, successes, and visions. From the author of Everyday Bicycling: How to Ride a Bike for Transportation (Whatever Your Lifestyle).